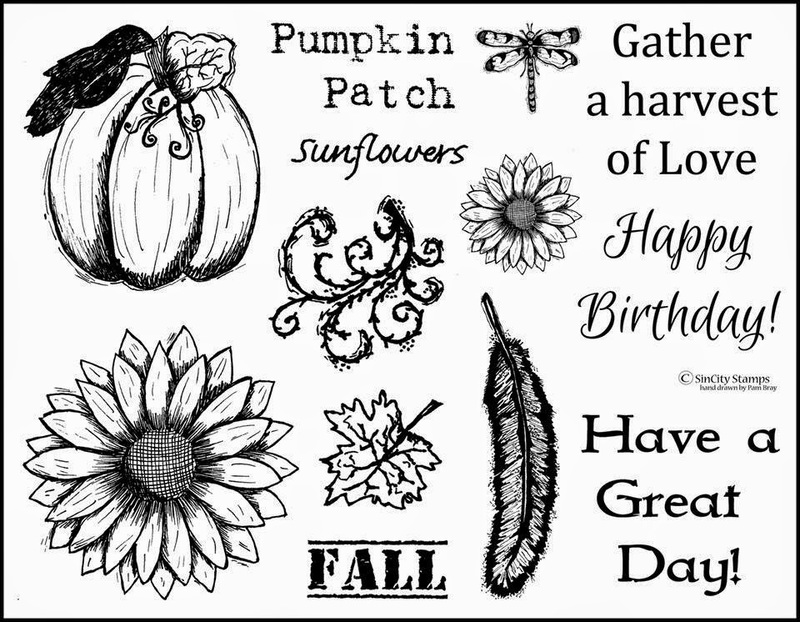 Hi it is Pam today on the SinCity Stamps Blog sharing with you a few fast and easy Fall Cards. 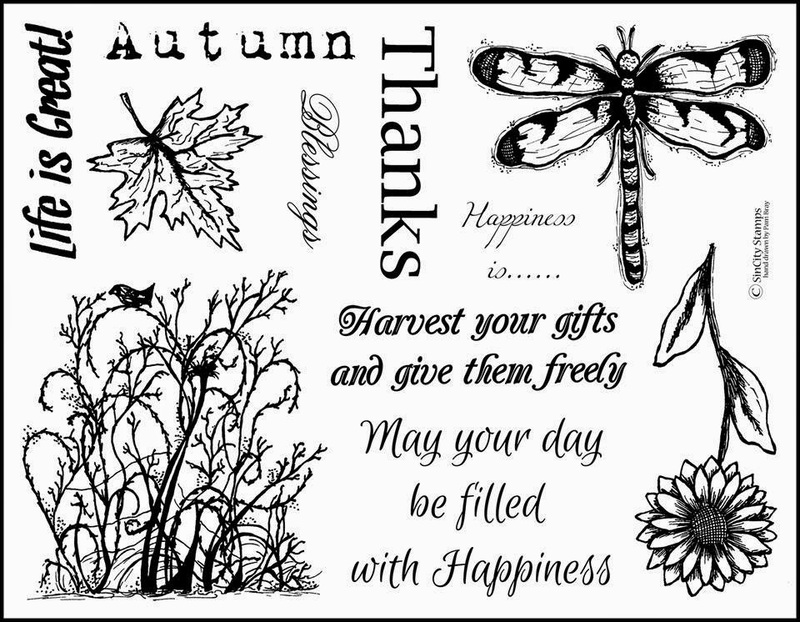 I am using my Fall Collection Stamp Sets 1 and 2 from SinCity Stamps. Sin City Stamps designs, presses and packages deep etched art rubber stamps and I proud that they are the manufactures of my stamps, stencils and chipboard. Love them and your stamp sets! Great cards! Love your new set, Pam! Can't wait to get my hands on it! It is amazing!!! Pam these sets are amazing.. LOVE the cards you made with them... two of my favourite sets.